MANAGING THE ART CLASSROOM: PART II: THE CULTURE OF POVERTY - DOES IT MAKE CLASSROOM MANAGEMENT MORE DIFFICULT? PART II: THE CULTURE OF POVERTY - DOES IT MAKE CLASSROOM MANAGEMENT MORE DIFFICULT? Teaching is messy, even if you aren't an art teacher. Our field is as organic as it gets - any time you try to study people, things just can't be measured and quantified easily. I have friends who teach in extremely affluent schools, and they have difficulties with classroom management just like my friends who serve extremely disadvantaged students. There are so many factors that effect how students behave irrespective of their socioeconomic background. I believe results of this survey can be generalized for central Alabama because more than 30 schools and their respective cultures are represented (almost all the art teachers surveyed work at a different school). Also, results of this study do indeed correlate with established research on the subject. However, the sample of art teachers is small, only 39, so results probably can't be generalized across a large section of the population of the United States. All teachers in this study serve in Alabama; most are in the Birmingham metropolitan area. Also, the majority of teachers serve in 4suburban schools. "In your opinion, is there a correlation between poverty and classroom management difficulties?" Here is where it gets really interesting: the chart below shows what percentage of classes teachers reported having 1difficulty managing. 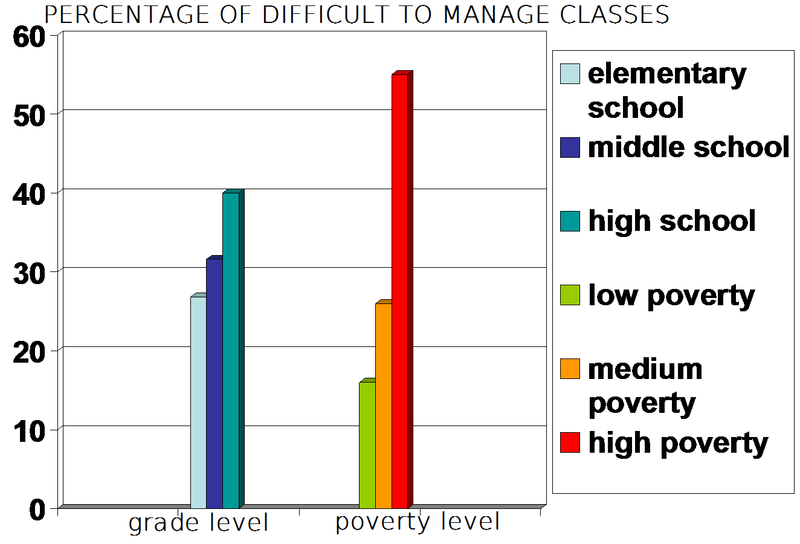 For example, if a teacher has a total of 10 classes per year and 3 out of 10 were difficult, that would be 33%. Even more interesting, when I averaged all the grade level percentages, it turned out that classroom management difficulty level increased with the age of the students. For some inexplicable reason I thought middle school kids were the hardest to teach - I have been proven wrong! My hats off to all the high school teachers out there! Conclusions: This informal study does seem to show that poverty has an effect on classroom management difficulties. Also, it would appear that behavior problems increase with older, more disadvantaged students. Several factors need to be mentioned, however; that a few teachers reported having zero difficulties, and a few reported having difficulties with 100% of classes (even very experienced teachers!). Now, the question is HOW does poverty effect student behavior, and WHAT can teachers do to help these kids learn to behave? Does it take more than exciting lessons and great rapport to reduce discipline problems? Also, whose responsibility is it, after all, for students' behavior? The next article in this series will outline the specific discipline issues reported by the teachers in this informal study. Also, I plan to provide resources and strategies in the final article for teachers who are struggling with behavior, especially those who serve high numbers of disadvantaged students. I did not include myself in this study, but my numbers do match up with the survey results. I serve a student population where 60% of students qualify for free or reduced lunch. 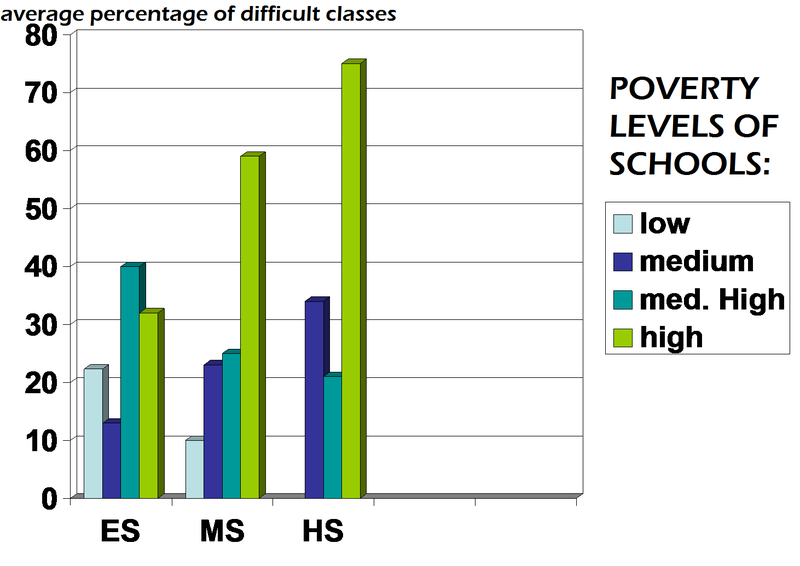 25% of my own classes (3 out of 12) are difficult to manage, which coincides with the average for the "medium poverty" schools. Also, last week I jotted down a list of students who struggled with multiple behavior issues this year. Out of approximately 300 students I have taught this year, 54 have had a hard time with behavior. I looked up which ones qualified for free or reduced lunch. Of these 54 difficult students, 74% qualify for free or reduced lunch. Kids having trouble settling down to work. Kids finding it difficult to get engaged and/or stay engaged. Many students having a tendency to talk while you are talking and/or at inappropriate times. Thank you to all the art teachers who took a few minutes of their time to help with this research by completing the survey! Also, thank you for reading this entire numbers-rich article by an art teacher. 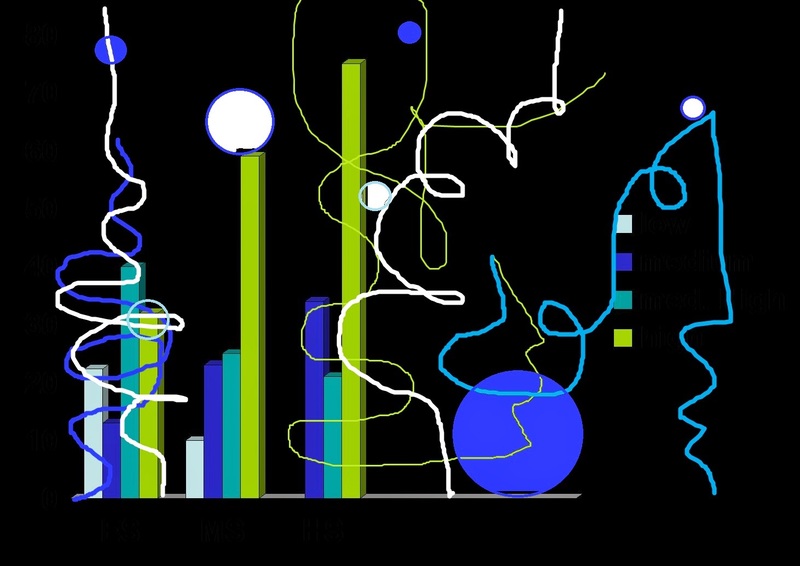 This is about an artist who uses the Fibonacci sequence to design beautiful sculptures (scroll to the bottom of the article to see the video). I teach in the lower Rio Grande Valley of Texas along the southern border. Most of my student population is low income and long term ELLs. I have found classroom management has gotten easier over the years thanks to a change in my teaching style. I have been teaching for 7 years. During the 1st 3 I was very forceful, very "or else" and I spent most of my time yelling and writing referrals. I have relaxed and yet am a wall of steel. My attitude is no excuses for not participating. If a kid doesn't have a pencil, I will gladly provide it. Need a pencil sharpened during my drawing warm up? Let me do that for you. I don't give homework, all work must be done during class time. I refer to my students as "ladies and gentleman" never as "children." I always say "please" and "thank you." I never ask them why they just did something stupid, I tell them what I need them to do right now and on a day when I totally lose it, I will apologize for being unprofessional. I also tell students that certain behaviors related to language such as swearing and punching, pushing and generally touching each others items are unprofessional. It puts an end to "but this is how I act at home." Instead we are are learning how to act if we were at a job. I have written no detentions yet, this year and only 2 referrals which were related to issues that spilled into my classroom from other parts of the day. 3 years ago my school became an authorized IB (International Baccalaureate) School. We are not a magnet and our population directly reflects our neighborhoods. What I love about the IB program is that art is approached as a process and not focused on final product. 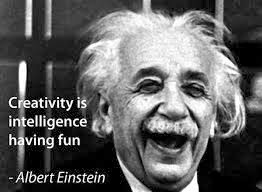 This has means my focus with my kids is about their level of effort and creativity not their physical drawing skills. My long term approach is not that they will all be artists but that in my room they are learning problem solving skills, creativity, working through a process. I don't do big reading and writing pieces but sneak it in through bite size chunks making it natural and not forced - preplanning and personal reflections. I focusing on doing. I keep them busy, don't give them down time, have focused routines and adjust projects themes or focuses on the needs of the class. My class is not a dumping ground. In the past, my biggest behavior problems came from kids that were rejected by the teacher in the elective they choose and they were coming into my class late in the year so they missed all my "everyone can be creative!" cheerleading, self-esteem building I do. One thing that has helped tremendously is we established a policy among all the Fine Arts Elective classes, after the first 3 weeks of school students are not allowed to switch elective classes. Teachers can also not kick out behavior problems to other teachers. Kids that switch schools and show up to my class halfway through the year will also get the 3rd degree from me about where they were coming from and what elective they had previously. If they were in choir, I send them to choir. Another problem I have noticed is with my 6th grade classes. I have them on a semester basis with Theater. I always have bigger problems Sem. 2 and I finally realized it is because at that time of day when I want them to sit and draw, they are used to being very physically active in the Theater room. My Theater teacher has a hard time getting the Sem. 2 kids to move around and use their bodies. Next year, we are going to rotate the kids between Art and Theater Sem 1 and give them a choice for Sem. 2. I know poverty has an impact on students Arts experiences, most of my kids have no art supplies at home and have never been to a museum. The idea of Art as a career is not something my parents want their kids to do. If a kid is actually failing my class, I never get a phone call from a parent asking why - it's art. I have a vision for my program and am in a school where my administration supports the arts. That makes an enormous difference. That is so encouraging to hear that the electives teachers work together to help the kids. I have never heard of a team allowed so much autonomy! At my school, we have no choice about who takes our classes. It is all about having "equal" numbers for electives. We also are not allowed to kick anyone out of our classes for poor behavior - I agree with that policy, though! Thank you for telling your story!